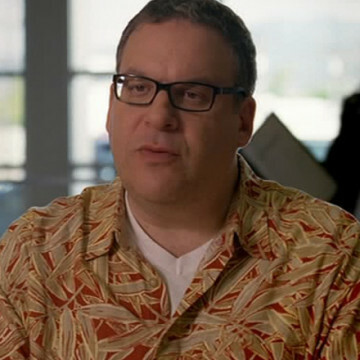 Jeff Garlin plays the part of Roger in S07E03, Dramedy. Jeff’s character is an award-winning television writer who is headed out of retirement and eager to cast his next big project. Five minutes into his Entourage episode, Roger Jay meets with Drama, Eric, and Lloyd to discuss a potential part for the actor. Garlin also plays Murray Goldberg on The Goldbergs and Jeff Greene on HBO’s Curb Your Enthusiasm.